Utah Governor Gary Herbert says the new plan will encourage tourists to explore scenic areas beyond the state's "Mighty Five" national parks, which thanks to a wildly successful marketing campaign are now severely overcrowded. Some Herbert critics see irony in the Governor's push to promote outdoor tourism. After all, it was just a year ago that he and the Utah Congressional delegation refused to change their position on reducing Bears Ears, prompting the leaders of the Outdoor Retailer industry trade show to relocate the massive event from Salt Lake City to Denver. Overnight, Utah lost $45 million in revenue that for 22 years benefited many businesses that cater to gearheads and lovers of the outdoors, many of whom are tourists from out of state. KUER's Judy Fayhs interviews Black Diamond founder Peter Metcalf, who was instrumental in bringing Outdoor Retailer to Utah and has a pointed message for the Utah pols who pushed for a smaller Bears Ears: “Departing was a way to say: ‘We cannot conduct a trade show in a state that is Ground Zero for the worst, cancerous policies in America." Never one to shy away from splashy public statements (see: "The President Stole Your Land"), Patagonia, in collaboration with an independent artist mounted an arresting light projection that counts down the days (and hours, and minutes, and seconds) until lands cut out of Bears Ears and Grand Staircase-Escalante national monuments are open to leasing by extractive-industry companies. "About 51 percent of registered voters surveyed said they support Drumpf’s proclamation to toss out the larger Bears Ears monument in favor of two smaller designations, while 43 percent opposed the action. On Grand Staircase, just under half, 49 percent, said Drumpf made the right move to trim the monument by nearly 1 million acres, leaving behind three separate monuments. Some 45 percent were against the change." 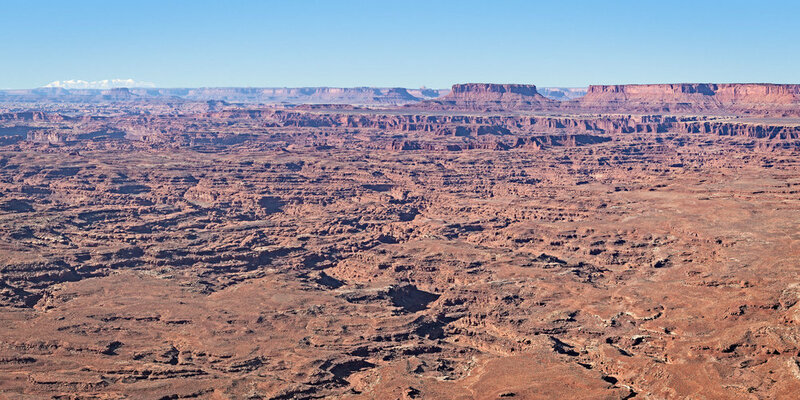 This story serves as a segue into our next post: a report on the latest hearing for Utah Rep. John Curtis's bill to codify Trump's changes to Bears Ears and Grand Staircase-Escalante national monuments. The bill has generated significant controversy; stay tuned for an update.